So, you’re looking to start making some money with a drone? Great idea! People all over the world are profiting from drones and now it’s time for you to join them. In this article we’re going to go over the best drones for commercial use, taking into consideration price, specifications and features. If you’re planning on running a drone business, or just want to make a bit of cash on the side, it’s a good idea to look at a drone as an investment. The unfortunate thing about drones is that they can be pretty expensive, however, how likely is it that you make your money back? Extremely likely, as long as you’re willing to put in the effort! 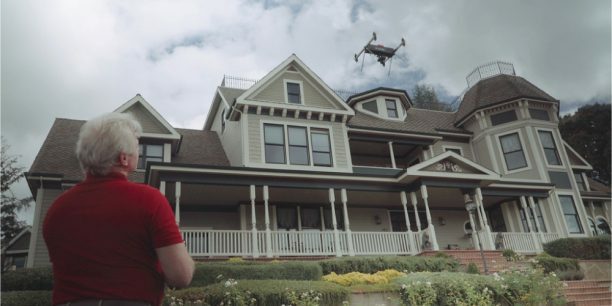 Say your drone and accessories set you back around $2000 and for example, you begin shooting some high end real estate videos that pay you around $300-$500 a gig. It’s not going to take long at all to start making your money back. If you’re interested in learning how to make money from your drone, be sure to download our free eBook where we go over 10 actionable ways you can start earning an income from your drone. Before you can begin to make money from your drone, you must first have a remote pilot certification from the FAA (for the United States). For more information on this, check out the FAA website. Hey I'm James, the founder of Drone Riot. I've been a passionate drone enthusiast for years and years and created Drone Riot so share my UAV Knowledge. I've made my fair share of aerial films as well as being a judge at the DFF ANZ Film Festival. While the below drone is by far the most suited to commercial work, it is also extremely expensive. Below this, we've included a list of pro-sumer grade drones that are more than suitable for commercial use. 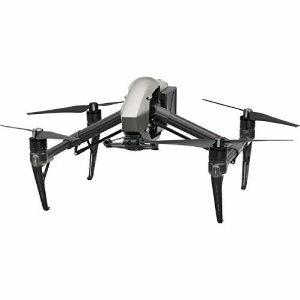 If you’re serious about making money with a drone, this DJI Inspire 2 is your best option; it’s an extremely high-end drone for aerial photography and cinematography. If you’re interested in purchasing the Inspire 2, I would recommend purchasing the Starter Bundle, as it comes with a number of great accessories that are all useful when operating a drone for commercial purposes. With a 27-minute flight time, incredible 4k filming at up to 60 frames per second and a whopping max distance of 7km, the Inspire 2 is an aerial filmmakers dream! he Drones’ carbon fibre rotor arms lift up during flight, providing the camera with a clear 360-degree field of view. The Inspire 2 comes with an array of intelligent flight modes, consisting of; spotlight pro, point of interest, waypoints, tap to fly, active track and quick spin. Obstacle avoidance sensors are also located around the drone to make these autonomous flight modes safer. Dual Operator Control allows for two people to control the drone and the camera. One transmitter controls the drones’ movement, whilst the other operates the camera. The drones’ designed for those of you who are looking to produce the highest quality of work possible. The fact that it’s used in film and television production goes to show the quality of footage the Inspire is able to deliver. What’s great about the starter bundle is that it provides you with everything you need in order to begin making money with your drone. 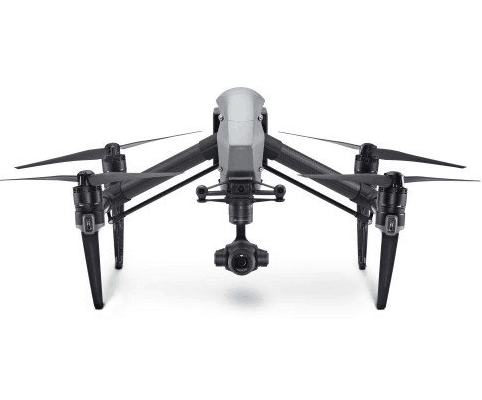 The DJI Inspire 2 is compatible with two different cameras, the Starter Bundle comes with the X4S, which is one of the best cameras DJI have ever released with one of their drones. Its dynamic range is fantastic, capturing beautifully coloured footage that is unbelievably crisp and clear. It can also handle shooting in 4k at 60fps extremely well, allowing you to create some awe inspiring slow motion shots in ultra high definition. The camera can also shoot 20mp stills for beautiful aerial photographs. As you’ll be able to charge a premium price with the Inspire 2, you’ll more than likely make your money back after 5 or 6 projects… then you’ve essentially got yourself a free DJI Inspire 2. Not bad! It’s safe to say that the DJI Inspire 2 is easily one of the best drones for commercial use. This section of the article will be looking at what is called 'pro-sumer' level drones. 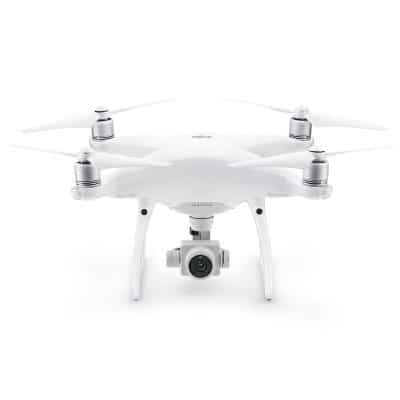 These are consumer price drones with specifications and features suitable for professional use. 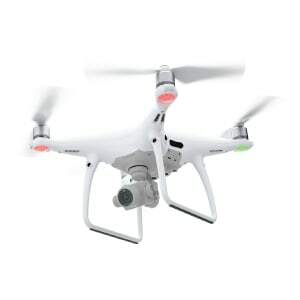 Although being cheaper than the professional drones listed above, they are still exceptional quality and easily usable in a professional environment. This is one of two drones recently released by DJI and is one of the their best models to date. 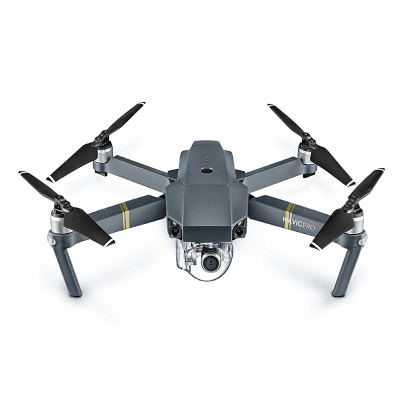 Building on the already impressive Mavic Pro Platinum, the Mavic 2 Pro boasts some incredible specifications and features that make it easily one of the best commercial drones for sale. Lets start off by looking at some of the drones' on board speciations such as it's whopping 31-minute flight time. This is one of the longest flight times ever seen on a commercial drone, which in turn means you won't have to fork out for so many extra batteries. DJI have also boosted the Mavic 2's maximum range to 8km, 1km further than the previous Mavic model. This gives you even more room from above to scope out new shots and explore different angles. If you're a professional filmmaker and/or photography and have never flown a drone before, it can be pretty daunting throwing down such a large investment. Fortunately, the Mavic 2 Pro is one of the safest and easiest drones to fly thanks to its' omnidirectional obstacle avoidance sensors. This means that there is a sensor facing every direction on the drone that is able to detect any near by objects. If the drone thinks it may collide with the object, it will try and stop itself before impact. Most commercial projects require a high quality camera in order to capture the best possible image. 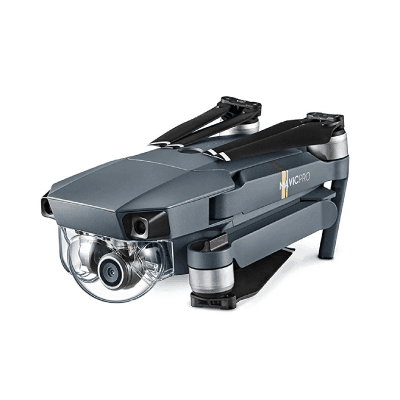 Fortunately, the Mavic 2 Pro is equipped with an incredible Hasselblad camera with a 1" CMOS Sensor that can take 20-megapixel pictures and shoot 4k at 30 frames per second. The footage can be recorded in 10-bit Dlog-M, allowing you to adjust the colors to match your personal taste, or to match any shots taken on the ground using a different camera. Another fantastic upgrade to the Mavic 2 Pro is its' ability to record at 100Mbps. This allows the camera to capture more information and in turn produces a more vibrant shot. If your commercial project requires you to take some aerial snaps, you'll be pleased to hear the Mavic 2 Pro's camera can capture 20-megapixel photographs. What's even more impressive is the drones' ability to shoot HDR photos, which is done by taking several different images at different light settings, then combining them into one photograph. One final thing to mention about the camera is it's adjustable aperture settings. This allows you to control the camera's f-stop, adjusting the amount of light entering the lens. This is brilliant if your project requires you to shoot at night, as you're able to expose your shot better in camera, without needing as much editing. DJI have implemented some new and some improved features into the Mavic 2 that make it even better suited for professional projects. For example, the drone is able to autonomously capture aerial hyperlapses which as you can imagine look fantastic and are a sure fire way to take your footage to the next level. The drones' Active Track 2.0 mode has also seen an improvement. The Mavic 2 Pro is able to better track a subject and has the ability to predict the subjects movement if it is to go out of shot. If you're project/ film requires you to track an object, then you really can't go wrong with the Mavic 2 Pro. All in all, the Mavic 2 Pro is pretty much one of the best professional drones for sale. Although costing a pretty penny, the outstanding quality of the drone makes it well worth the investment. Next up on our list of the best drones for commercial use is the DJI Phantom 4 Pro. The P4 Pro is a high-end pro-sumer level drone that’s one of DJI’s most popular products. It’s not only one of the most popular drones on the market, it’s by far DJI’s fastest Phantom, capable of reaching a top speed of 72kph! The Phantom 4 Pro offers pilots a staggering 30-minute flight time, 4k shooting at 60 fps and a max range of 7km. It can also shoot 20 mega pixel photos, making it a fantastic option for filmmakers and photographers alike. Fitted with a plethora of intelligent flight modes such as Draw, Active Track, TapFly, Return to Home and Gesture Mode, the P4 allows pilots to autonomously capture stunning aerial footage. The drones’ 5 direction obstacle avoidance sensors make these intelligent flight modes extremely safe as it can position itself correctly during flight. If you’re interested in the P4 Pro, I would again recommend you to purchase the bundle package that DJI offer on Amazon. This comes with all the accessories that you would need to run a successful commercial drone business, including extra batteries, a backpack and a lot more! If you don’t want to get the P4 in a bundle and want to get your accessories separately, you can always opt for buying the drone on its own. With all the people around the world making money with their Phantom 4, it’s definitely considered one of the best drones for commercial use. Next up we've got the DJI Mavic 2 Zoom, which was released alongside the DJI Mavic 2 Pro. These two drones are essentially the same, however possess slightly different cameras. The Mavic 2 Zoom is slightly cheaper than the Pro version, so if you're looking to save a few extra bucks, the Zoom could be a fantastic option. As I just mentioned, the Mavic Zoom is pretty much excactly the same as the Mavic 2 Pro, so I won't go into too much detail about the specs and features. It has the same 31-minute flight time and 8km maximum range as the Mavic 2 Pro. Similarly, the Mavic 2 Zoom also has omnidirectional obstacle avoidance sensors, making it another great option for those of you who haven't flown a drone before. There's been a number of times I've been filming with my drone and wanted to get closer to the subject, however it's been too risky. Fortunately, DJI have solved this problem by fitting the drone with a 2X optical zoom lens, meaning you can zoom in twice as close without having to fly nearer. This makes the Mavic 2 Zoom a great option if you're wanting to carry out inspections with your drone. In terms of footage quality, the camera is slightly worse than the Mavic 2 Pro we just discussed. The Zoom camera is fitted with a 1/2.3" CMOS Sensor, is able to take 12-megapixel photographs and can film in 4k at 30 frames per second. A Dolly Zoom effect is also present on the DJI Mavic Zoom, which is created by flying the drone backwards whilst zooming in on the camera. Check out the video below to see the Dolly Zoom effect in action. The lens itself is the equivalent to a 24-44mm lens you may find on a DSLR. When shooting in 24mm, the drone is able to take 9 separate photographs and can automatically put them together, forming a super high quality 48-megapixel photograph. 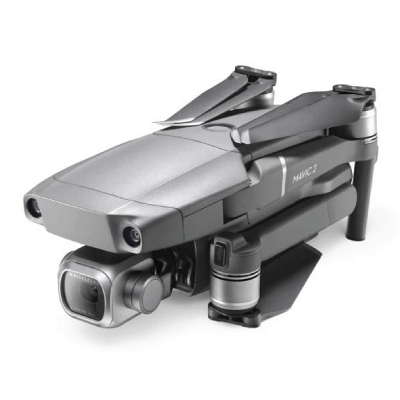 In terms of new and improved features, the Mavic 2 Zoom possesses the same upgrades as the Mavic 2 Pro. For example, the drones' Active Track is more efficient, it also able to capture aerial hyperlapses and can shoot HDR (high dynamic range) photographs. This is without a doubt a professional camera drone, however doesn't come with an exceptionally high price tag. The Mavic 2 Pro is definitely a great asset to have for commercial flying, especially if you're needing to get close to your subject. Moving on to the ​DJI Mavic Pro Platinum, a drone that truly deserves a place on our list of the best drones for commercial use. 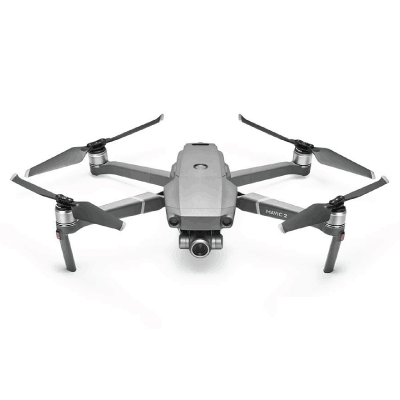 The Mavic Pro has taken the drone world by storm, with its practical design and impressive features; it has become one of the world’s most popular drones, and for good reason. t’s innovative foldable design paired with its lightweight build make the Mavic Pro incredibly easy to transport, which is great if you’re going to be working more than one job in a day. The Mavic’s camera is able to shoot in 4k, 2.7k and 1080p up to 96 frames per second and is attached via a 3-axis gimbal, resulting in beautifully clear and smooth shots. The drones’ camera is also able to shoot 12 megapixel stills. As with all DJI Drones, the Mavic Pro comes with a vast number of intelligent flight modes that consist of – ActiveTrack, Tripod Mode, Gesture Mode, Cinematic Mode, Fixed-Wing Mode, TapFly, Terrian Follow, Point of Interest, Couse Lock, Waypoints and Home Lock. 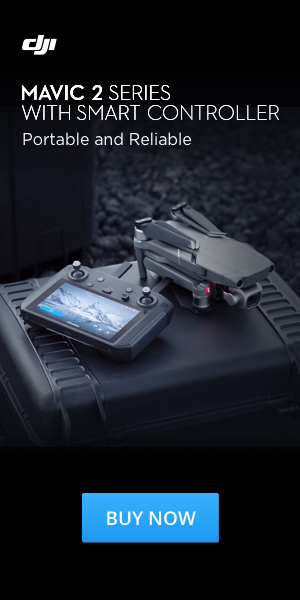 These intelligent flight modes allow the pilot to easily capture some stunning aerial footage. The Mavic also comes installed with front facing obstacle avoidance sensors that prevent the drone from moving forward into an object. For anymore information, you can check out our full review of the DJI Mavic Pro Platinum. I remember back in the day of the DJI Phantom 2, which was once the pinnacle of DJI's high tech drones. Don't get me wrong it was great, but goddam I hate bulky drones. That's especially true if you're going to shoot and already have a tonne of equipment, the last thing you want is an unnecessarily large drone, especially when you can get one just as good but much, much smaller. Thank the lord DJI can now PACK out some incredibly small drones with the latest and greatest that the company has to offer. One such drone is the DJI Mavic Air, by far DJI's smallest, high quality drone released to date. This is ideal if you're having to travel with your drone in order to get to your shooting location. If portability is an important aspect for you, then you can't go wrong with the Mavic Air. The drone only weighs 430 grams and measures 168×83×49 mm (L×W×H), that's not much bigger than the DJI Spark! What makes the Mavic Air even more impressive is it's camera, capable of shooting 4k footage at 100mbps, meaning the footage is incredibly crisp and vibrant, much more so than the Mavic Pro (which only shoots at 60mbps). Similarly to the Mavic Pro, the Air's camera can shoot stunning 12 megapixel stills, making it ideal for both professional photographer and filmmakers. 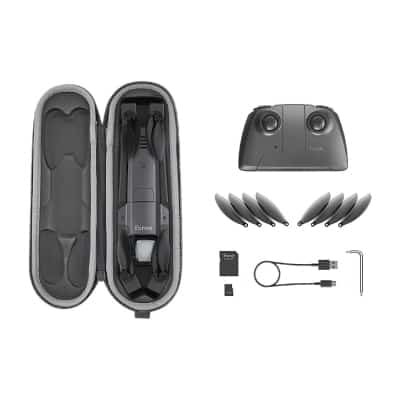 The Mavic Air also possesses the tell tail signs of a high quality DJI Drone with it's incredibly large number of useful intelligent flight modes. These bad boys can speed up the time of your shoot with ease, especially if you've got some ground shots to take as well. Ok, so lets talk about what I don't like about the Mavic Air (which isn't much). My biggest disappointment is the flight time, which is 21-minutes. This is by no means awful, I would have just liked maybe 25-30 minutes, that being said, this is definitely not a deal breaker. All you've got to do is grab a spare battery and you've got yourself 40 minutes of flight time, can't complain about that right? Another aspect of the Mavic Air that doesn't quite live up to the Mavic Pro is the maximum distance. For me, this really isn't that important as at the end of the day, you shouldn't fly your drone out of line of site anyway. The Mavic Air is able to cover up to 4km distance from the transmitter, which is 3km less than the Mavic Pro. Unless your shoot requires a ridiculous tracking shot of 8km, then you're all good. All in all, the Mavic Air is easily one of the best professional drones for filmmaking and photography, especially if portability is an important factor for you. If you compare the Mavic Air to some of the other pro drones with a camera, it's clear which drone has the latest tech and the most modern build. Well, well, well, never count Parrot out of the game. Just as everyone was declaring DJI had won the drone wars, along come Parrot with a game changer with one of the top professional drones for filming currently available - the Parrot Anafi. 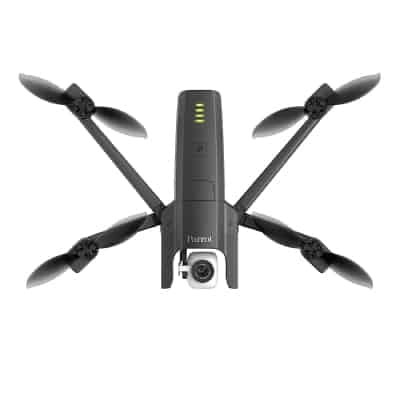 First things first, the 180-degree tilting camera is an incredibly useful feature that Parrot have cleverly added to the Anafi drone. This allows you to film above where your drone is fly, opening up even more opportunities to capture some awe-inspiring shots for your project. 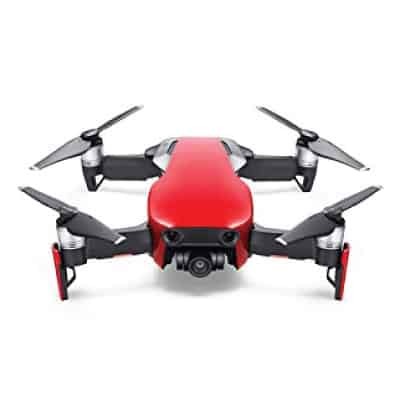 Pair this with the fact the Anafi possesses a stunning 4k camera that can also take 21 megapixel photographs, and you've got your self one of the top professional drones on the market. The fun keeps on coming with the Anafi though. I can understand you're probably thinking, how the heck am I going to afford this? Well, the crazy thing is that this is one of the most affordable professional drones currently available, almost half the price of the Mavic Air! I almost forget to mention the fact that the Anafi's camera can zoom up to 2.8X it's regular view point, which again provides you even more creative opportunities when you're shooting your film. There's been a few times when I've been filming on my Phantom and wanted to get a slightly closer shot, but it was too risky to get any closer. Fortunately with the Anafi you won't have this problem. In terms of flight time and maximum range, the Anafi is able to compete with the best; sporting a maximum range of 4km and a maximum flight time of 25-minutes. Neither of these are the best specs on the market, but are definitely respectable in their own right. If you're looking for a budget friendly professional drone with camera, give the Parrot Anafi some serious consideration. The final drone on our list of the best drones for commercial use is the Yuneec Typhoon H.
The Typhoon H goes to show how Yuneec are pushing the boundaries for pro-sumer grade drones, providing innovative and professional grade features for an affordable price. In fact, the Typhoon H is one of the most advanced camera drones currently available. The Yuneec Typhoon H sports a 4k camera, up to 25 minutes of flight time and a maximum range of 1.6km. You are also able to bind two transmitters to the Typhoon H, in this dual operator mode; one transmitter flies the drones whilst the other controls the movement of the camera. The rotor arms of the drone are foldable, allowing it to become more compact. Although due to the length of the drones’ body, it is still quite bulky. 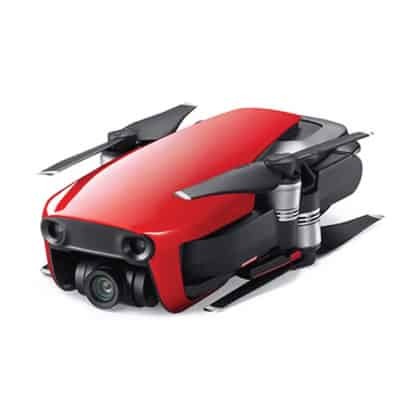 The drones’ retractable landing gear provides an unobstructed field of view for the 360-degree camera movement. This is awesome for filmmakers, as it gives them unlimited movement of the camera in the air, without having to rotate the drone. 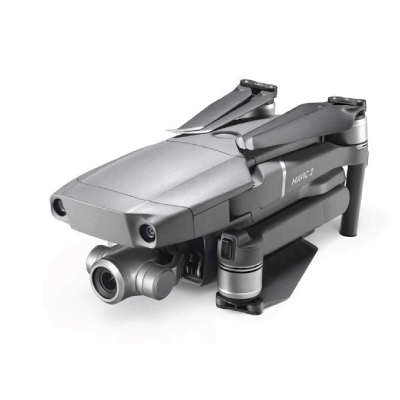 Yuneec have also packed the Typhoon H with smart features such as Orbit Me, Point of Interst, Journey, Curve Cable Cam, Follow/ Watch me and Dynamic Return to Home. 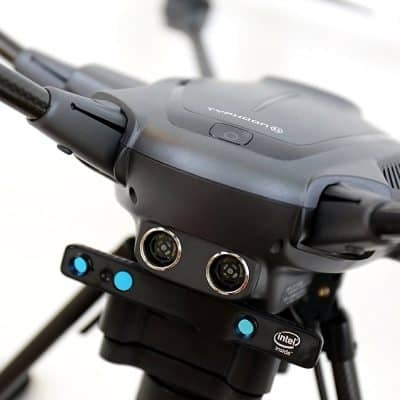 The Typhoon H comes installed with Intel RealSense technology, which uses the drone’s sensors to create a 3d environment and autonomously avoid obstacles. Yuneec continue to put the pressure on DJI with their high quality and affordable drones. 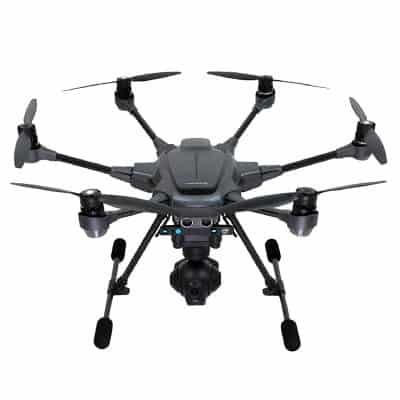 The Typhoon H is no exception and is undoubtedly one of the best drones for commercial use. What To Look For In The Best Professional Drones? I think it's safe to say that one of the most crucial aspects of a professional standard drone is their camera. At the end of the day, you've got to deliver a high quality piece of work and if you're camera is rubbish, well then, your work may end up looking rubbish as well. I personally like to have a camera that can shoot in 4k. This allows me to do some cool stuff in post production such as the vertigo affect and makes the footage look even more crisp when I condense it down to 1920 X 1080p. That being said, you don't have to have a professional drone with a 4k camera, as long as you're able to shoot in 1080p, you're good to go. You also need to make sure that the camera is attached to the drone via a 3-axis gimbal, as this will keep it steady and stable during flight, resulting in fluid, professional looking footage. For me personally, flight time is a lot more important than maximum distance. As I mentioned earlier in this article, you're only allowed to fly your drone within line of site, so having a 7km range seems a bit excessive. Having a long range does however provide you the freedom to scout your location from above and potentially uncover new shots that you hadn't thought of previous. Similarly, having a drone with a long flight time will provide you more freedom to explore the area, and allow you to have more time capturing all the awesome aerial shots you need. The best drones for commercial use will have both long flight times and maximum distances. I would look for flight times over 20-minutes and maximum ranges over 1km. Again, this is personal preference, but I find having these as a minimum will provide you plenty of time and space to shoot in. Having intelligent flight modes really is a must, especially if you're shooting with a short amount of time. These allow you to easily capture awesome shots without having to do much piloting of the drone itself. I love making use of the point-of-interest mode on my Phantom, which basically circles a subject whilst keeping the camera pointing at said subject. Whilst the drone pilots itself, I can focus on the framing of my shot, which of course, is pretty damn important. These days drones' come packed with some incredible useful modes, so don't make things harder for yourself by investing in a drone without many autonomous modes. How Do I Become A Commercial Drone Pilot? ​This depends in the country that you are located. Most countries require you to pass some form of test in order to be able to generate a revenue with your drone. In the US for example, the FAA requires you to be a part 107 certified pilot. This requires passing a couple of tests and paying the fee's associated with the certification. For an in-depth guide, check out Drone Life's full break down of the Part 107 Certification. Are These Drones Easy To Fly? To be honest, these are probably some of the easiest drones you can fly. This is down to the fact that most of them come packed full of safety features that make learning to fly them incredibly easy. That doesn't mean you're not going to crash if you're not careful, they just tend to be easier to fly than cheaper drones that don't have any kind of assistance such as GPS positioning and obstacle avoidance sensors. Do I Need Drone Insurance? Whether or not you're planning on making money with your drone, I would always recommend getting insurance for your drone. This is especially true if you're flying for commercial purposes. Droney Bee breaks down the different types of drone insurance really well in their "how to make money with a drone" article, so check that out if you're feel stuck. How Can I Find a Drone Piloting Job? There's a tonne of different ways you can go about finding yourself a drone piloting job. First, you've got to decide how exactly you want to use your drone (I'll break down some different ideas int the next section). I would recommending niching down into one area and becoming an expert in that specific field. That way you can charge more for your services as you'll be seen as an authority and expert within that industry. Check out the Jobs For Drones website to find some drone piloting jobs online. Alternatively, you can manually outreach to people via cold calling or emailing and offering them your services. It's a good idea you have some form of portfolio before you do this, either on Instagram, a website of something similar. Do I Need Experience Before Buying One Of These Drones? As I mentioned earlier these drones are fairly easy to fly. I would say you don't need any prior drone piloting experience before flying these, however don't go and try to make money straight away. Being able to fly a drone is one thing, being able to capture professional looking footage is another. Make sure you've more than capable behind the transmitter and be confident in your ability to capture high quality photographs and videos for your client. This by far one of the most used methods of generating and income with a drone. Why? Because it works! Being able to capture a property from above and in an engaging way is a real estate agents dream. Offering your high quality aerial videography and photography services to your local estate agents i a great way to start making some money with your drone. The best drones for real estate are portable, possess a good quality camera and are easy to fly. Get yourself something that ticks all those boxes and you're ready to start making some extra $$$. People have been making promotional videos for different events, businesses and services for as long as there's been a video camera. 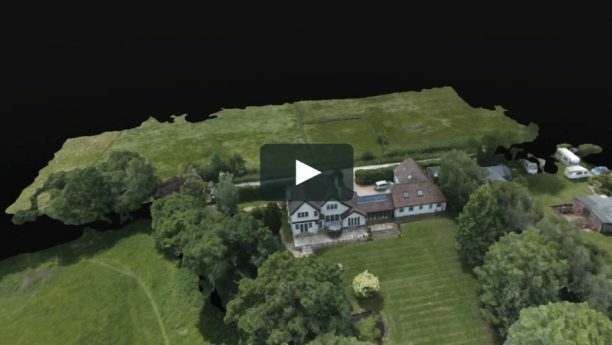 You can now take these to the next level by incorporating stunning aerial footage into your promotional videos, making your footage and your clients promotional piece look like a high budget, professional piece of work. This is another incredibly popular industry for drone pilots. Wedding photography and cinematography is a HUUUGEEE industries, with couples shelling out hundreds if not thousands of dollars to capture their big day. 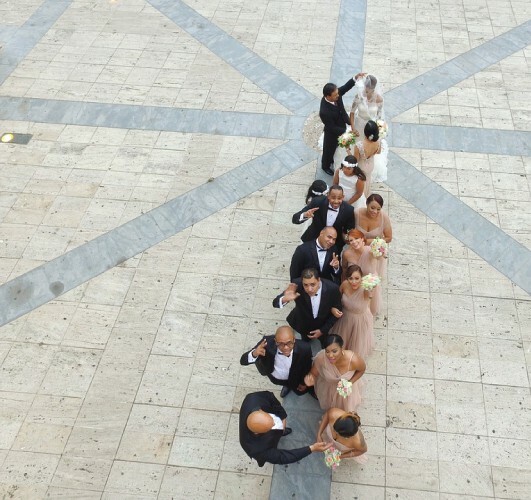 You can cash in on this massive demand by offering to capture peoples weddings from a unique and unforgettable angle. The best drones for wedding photography and cinematography will be small, quiet and be able to shoot high quality footage. If you're wondering what drone will fit this description, check out the DJI Mavic Pro Platinum, it's easily one of the top drones for filming weddings. Why spend more money with more risk to send someone to do an inspection? Especially when a drone can do it quicker and potentially to a higher quality. Many drone pilots have been thinking the same thing and have begun to offer their services to companies needing to inspect hard to get places that pose a large amount of risk. One such example is a wind turbine, which can often need inspecting if they break down. A drone with a high quality camera can reach the turbine in a matter of seconds and relay the footage to the ground, with absolutely 0 risk. Companies pay big money for such inspections, so it's definitely worth looking into. The best drones for inspections will have long flight times, be incredibly stable and of course, have a high quality camera. Example: Yuneec Typhoon H.
Lastly we've got aerial mapping - this one's a little bit more complicated and requires you to have software that is able to compile aerial images into detailed maps. A drone company called 3DR have recently released a drone specifically for this, that comes with the necessary software to create a map of the area it flies over (it can even do this autonomously). Thanks for taking the time to read our article on the best drones for commercial use. Remember when you’re planning on making money with a drone to look at it as an investment and consider how likely you are to get a return on it. 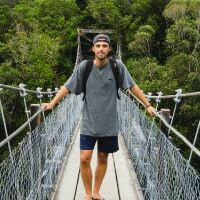 If you’re smart about it and are able to produce some high quality work, the chances are you’ll make your money back in no time at all, especially if you've got yourself a top notch professional drone. If you’ve got any questions ​about oporating a drone for commercial purposes, I recomend having a look on the Know Before You Fly website. They've got a whole section on flying a drone for commercial use. Thanks for the article! Just read you’re eBook as well and found it very helpful! Would you add the poweregg on this list? Why or not ? The poweregg can be compared with the phantom 4. I haven’t yet had a chance to use the Power Egg drone, however it does look pretty interesting. I’ll definitely look into adding it to this list. Thanks for stopping by, hope you found the article useful. Hey, I'm James, founder of Drone Riot. I've been a passionate drone enthusiast for years now and created Drone Riot to share my UAV knowledge. Feel free to drop me a message if you've got any drone related questions. Happy Flying!